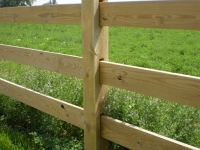 Split cedar rails are secured into holes in the posts. Posts are set at 10 foot or 8 foot spacing with two or three rails. 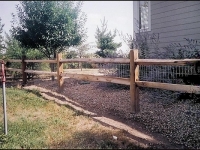 Many split rail fences have 2”x4” welded wire secured to the fence to contain pets. 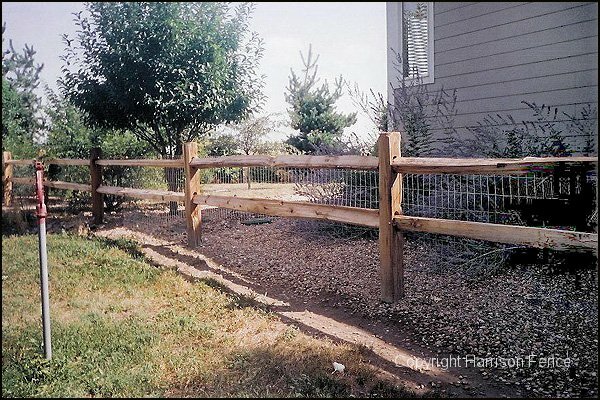 This fence uses pressure treated 6”x6” posts and three 2”x6” rails. The V-Mesh wire is manufactured for livestock and boasts strength and durability. It’s rumored that the V-mesh manufacturing machine in Colorado Springs is over 100 years old and still going strong! 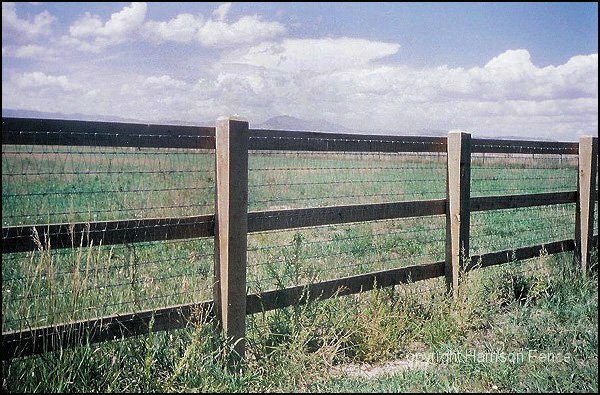 As noted above, this rail fence uses 6”x6” pressure treated posts with Holes cut out for the 2”x8” pressure treated rails to slide into for a seamless, continuous fence. 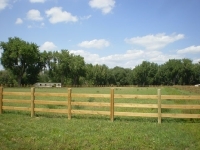 This fence will provide security and stability for uses with horses or other large livestock. There are many different styles and options available for ranch and rail fencing. 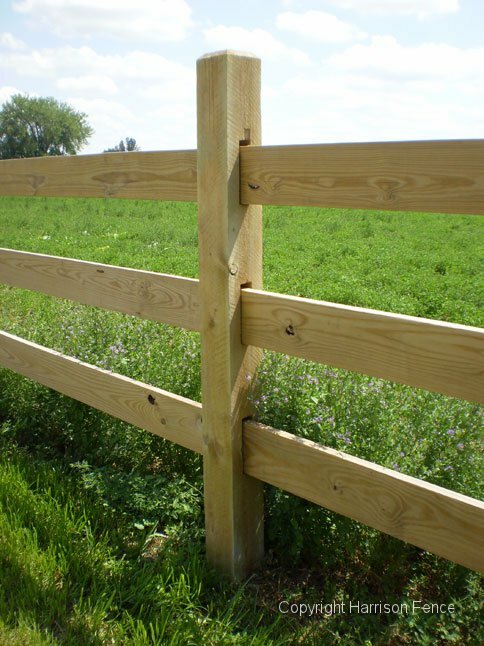 This application uses 6”x6” pressure treated posts with holes cut out allowing the 2”x8” rails to slide into the posts for a seamless, continuous fence with stability and security for horses or other large livestock (see close-up in the following photo). 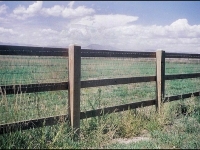 Wire mesh can be attached to ranch and rail fences for added security.